We offer quick and easy, competitive vehicle financing through X Factor Cars. No one will work harder to make your buyer experience as easy and seamless as possible. Regardless of your circumstances our priority is to struture your package in a way that best suits you and your lifestyle. We’re massive on keeping it local and support all codes where we can. From Volleyball to Netball, Youth football to Rugby League, X Factor Cars in some way shape or form, whether it be a small gesture or a seasons commitment have been there for local sports clubs when they need it. We are firm believers in supporting those that support us and will continue to do the best we can for our client base and families. Music is a massive passion of all the staff at X Factor Cars, especially the Boss, Bruce Springsteen that is, a personal favourite of the other boss Graham. 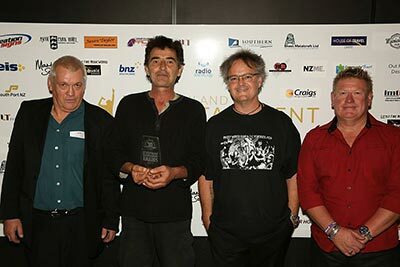 We’ve been on board with the Southland Entertainment awards for over half a decade and have enjoyed every minute of it. We always look forward to a great night out in support of local talent. If any province in the country knows music it’s Southland and we love it! Excellent customer service, absolutely love my new car it’s everything I wanted and more (still haven’t wiped the grin off my face) and was just so easy! I will definitely be back in the future when I need an upgrade. Thanks again! Awesome team at X factor, Scott is a pleasure to deal with. He is always willing to go the extra mile to ensure you get what you want. Just got a new Holden through him and couldn't be happier with the service and the new car. Keep an eye out for the boys at a track near you! X Factor Racing was established in 2013 when X Factor Cars owner Graham Williamson purchased the 21t Hypermac Racing Mustang Saloon, after a 30 year absence Graham put the helmet back on and re-cut his teeth in the Saloon grade contracting to Central Motor Speedway in Cromwell. Graham will continue to race the Saloon during the 2017/18 season however plans to park the Mustang up after the New Zealand Title in Christchurch to take on a new challenge in the Super Saloon class. Business manager Scott Williamson crewed for Graham during his first season back in the sport and caught the bug, the following winter saw Scott build his own Production Saloon to race the following season. Scott now races in the Modified Sprint grade and calls The Rock Riverside Speedway his home track. Scott can be found anywhere between Christchurch, Cromwell, Dunedin and Invercargill during the season campaigning the 22i machine. Grahams Nephew/Scott’s cousin Mark Henderson owns and racers the 34I X Factor Cars Streetstock, a V8 Toyota Soarer which saw Mark place in every single local event during the 2016/17 season locally. Mark is a serious contender for the 2017/18 NZ Title being held at Riverside Speedway in Invercargill this coming January. 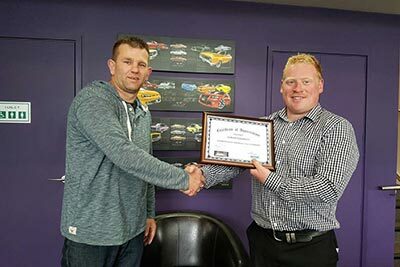 Graham and Kate Williamson first opened the doors of ‘Graham Williamson Vehicle Sales’ in February 2004 at 237 Dee Street with a variety of NZ New and Imports available. 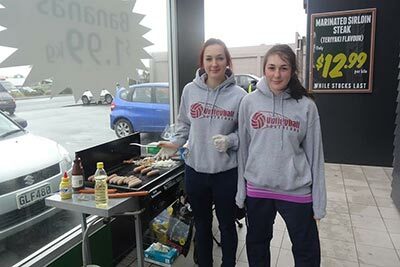 A Husband and Wife team with a mission, to become Invercargill’s premier pre-owned vehicle dealership. Son, Scott Williamson was introduced to the car sales scene young and was brought through the company as after school help, then weekend Salesperson and now Managers the dealership. Alongside Scott fiancé Mikaela lends a hand to admin and vehicle delivery when required. Graham and Kate’s middle child Connor is often found on the yard either washing or polishing the fleet. Yardie and groomer Chantel Hamilton is also family and a cousin of Mikaela’s. So when we say we’re 100% family owned and operated, that’s exactly what we mean. No one will work harder to source and supply your vehicle requirements than X Factor Cars, at any given time we house 45-50 stock units, however regularly have vehicles arriving to order. From tracking down the make and model you desire, to financing and insuring right through to delivery X Factor Cars will MAKE IT HAPPEN! Buying a vehicle sight unseen can be a concern for some buyers. Here at X Factor Cars a high percentage of our vehicles are purchased by out of town buyers. We will always give you a totally honest description and supply any specific extra photographs on request. We encourage you to check out our tesimonials and can also provide an 80 point MTA inspection for that extra peace of mind on request. We sell many vehicles up and down the country and can arrange and co ordinate the delivery process for you. We have excellent discounted rates with our transport partners and will ensure your precious new cargo is delivered to your door in the quickest possible time. ‘Graham Williamson Vehicle Sales’ grew rapidly in a very short time after opening their doors in 2004, specialising in high grade New Zealand New and Japanese Imports, after three successful years in this market Graham and Kate changed direction and rebranded with a name change ‘X Factor Cars’ was born and become Southlands Home of Everything V8, moving from 237 Dee Street to a purpose built premises hosting Invercargill’s biggest selection of Holden, HSV, Ford, FPV, American Pick-ups and American Muscle Classic & Late Model.